Should I Buy Carpet from a Home Improvement Warehouse? Buying from a home improvement store can be very convenient. They have a good amount of carpet samples to choose from and they may be having a special sale on carpet, pad or installation going on right now. One problem you will likely encounter when buying from a home improvement store is that they have placed private labels on all their carpet samples. 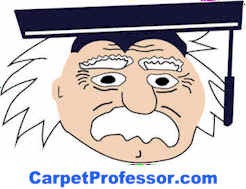 They have changed all the style and color names from their original names to try to prevent you from comparison shopping at other nearby carpet stores. What this means to you is that if you find a carpet that you really like, you will have a hard time finding the exact same carpet (for a lower price) at another local carpet store. This is what I consider to be a Carpet Scam. Why do they do this? To prevent you from shopping elsewhere and finding a lower price for the exact same product. Chances are really good that the exact same carpet is available at other locally owned carpet stores in your area but are sold under a different style and color name. Using private labels is how they prevent you from calling around to find a lower price or comparing their prices with other nearby carpet retailers. This is also how they get away with charging you more for the carpet and more for the pad and other necessities. They are trying very hard to take away your right to comparison shop to find the best deal for you. Are their prices fair? How would you know if you are unable to comparison shop? Carpet, pad and installation. You want a fair price on all three. You want a fair price on carpet. You want a fair price on padding, and you want a fair price on installation. How can you be sure you are getting a fair price when they sell it as "One price for the whole job"??? You can't and they know this very well. Here is an example: You buy a good quality nylon BCF carpet for $20 per yard. You buy 8-pound 7/16' Rebond padding for $5 per yard. Buy installation of a qualified carpet layer for $6 per yard including removal and haul away of the old carpet and pad. The total you are spending is $31 per yard for the whole job. Times that amount by the number of yard you need and that is the whole price. You know what you are paying and that is good. You got a fair deal on all three. "How much is this carpet?" you ask. "$34.97 installed with pad." says the salesperson. "But how much is the carpet by itself?" you ask. "We don't disclose that information. it's sold as a package deal" the salesperson replies. "Which padding do I get?" you ask. "It comes with the standard 6-pound padding, do you want the upgraded pad for $4 more per yard?" the salesperson replies. When they won't tell you how much each item costs how can you make an informed decision? They change the names, combine the pricing, and limit the amount of information you have access to. You might as well go in blindfolded with your hands tied behind your back and give them a signed blank check. Don't gamble with your carpet purchase. You don't have to! I am unhappy with my carpet purchase what do I do now? "I'd like to know what I'm paying for installation" you ask. "It's all included in the price" He says. "But what if I have a problem with the installation?" you ask. "We have an independent company that supplies all our installation crews. You would have to call the installation company directly and they will send out someone to look at the problem" says the salesperson. "What if I have a warranty issue with the carpet?" you ask. "You would need to call the carpet manufacturer about that" the salesperson replies. You see, even though you buy the carpet, the pad and the installation from a home improvement store it doesn't mean they will help you if you have a problem after the carpet is installed. Should you have any problems with materials or labor they simply refer you to the installer, the manufacturer or some other company that supplied your materials or labor. Once installed, the home improvement store doesn't have any further responsibility to make sure you are satisfied with your carpet purchase. They took their profit right off the top once you submitted your order and paid the invoice in full... Now they are pretty much done helping you if you have future problems. Why is getting a quick remedy so difficult? The fact is, Home improvement stores don't warranty the carpet you buy from them, the carpet manufacturer does. You have to call the carpet manufacturer and they will have the final decision on whether or not you have a valid warranty claim... Have you followed the warranty requirements to the letter? You'd better hope so. Have you kept the carpet cleaning receipts? Have you maintained the carpet properly? 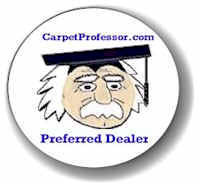 Did you buy a carpet that is capable of handling your degree of foot traffic? Did you select the correct padding thickness and density? Was the carpet installed according to the Carpet and Rug Institute guidelines for residential carpeting? The list goes on and on. Home improvement stores don't warranty the installation either, the carpet installer does and he must provide a one-year warranty on his labor. You must call the company that supplies the installers to the home improvement store. They will send out the same installer to try to fix the problem. If that installer no longer works for that company, they will send out someone else to try to fix the problem. If you have a stain issue, you may have to contact the company that manufactured the carpet fiber or the company that applied the anti-stain treatment! Can you see now how this can be so confusing for homeowners who may have to deal with many different companies to try to find someone, anyone who will agree to accept responsibility for their carpet complaints? So whatever problem you have, you will have to seek a remedy from one of these other companies. And what makes this even more interesting, is that each one of these other companies will place the blame on the other guy. Wrinkles in your carpet? call the installer. The installer says it is a carpet defect. Call the carpet mill, they send a carpet inspector out to look. He says you used the wrong padding. Call the home improvement store and say that they sold you the wrong pad, they tell you that it is your responsibility to be sure that you ordered the correct padding. Now it's your fault. Your carpet looks horrible and they tell you that it is your fault!? You should have been sure that the padding was the proper pad for the carpet you selected. It's written in the carpet manufacturers warranty, didn't you read it? Yikes! Now, if you were to buy new carpet from a reputable locally-owned carpet dealer and have a problem or concern... Your concerns will be handled by the carpet dealer for you. All you have to do is contact them, tell them your problem and let them sort it out and do what needs to be done to make sure you are a happy customer. See who I recommend near you.